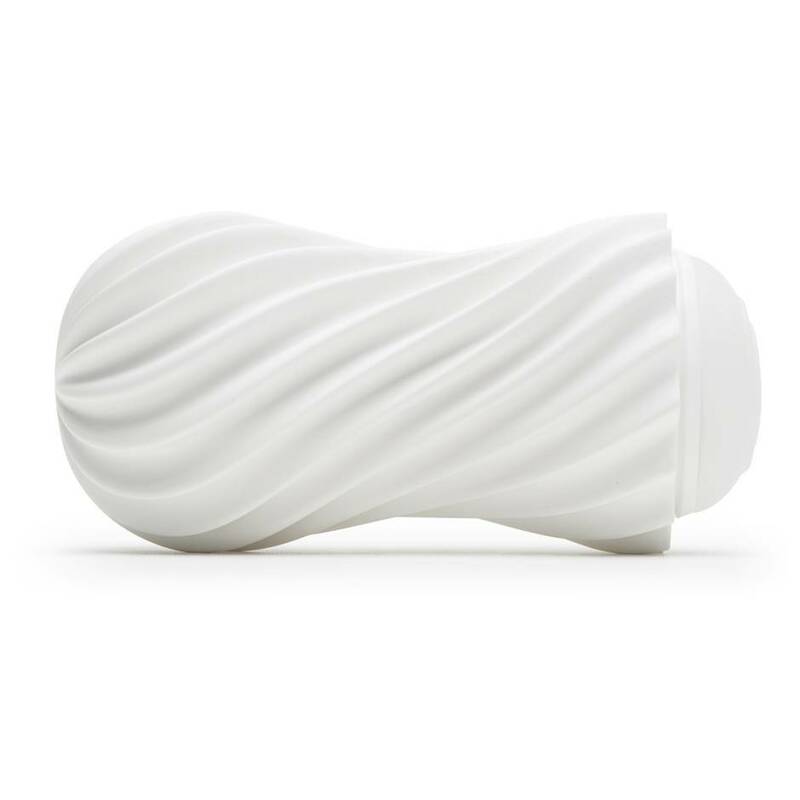 Sink into the silky sensations offered by TENGA's textured male masturbator, an intensely textured sleeve with spiralling ribs that stroke and suction your manhood to blissful climax. The new spiral case reveals immense sensations with every flex. The soft outer case allows you to squeeze and twist to create the right pleasure sensations for you. 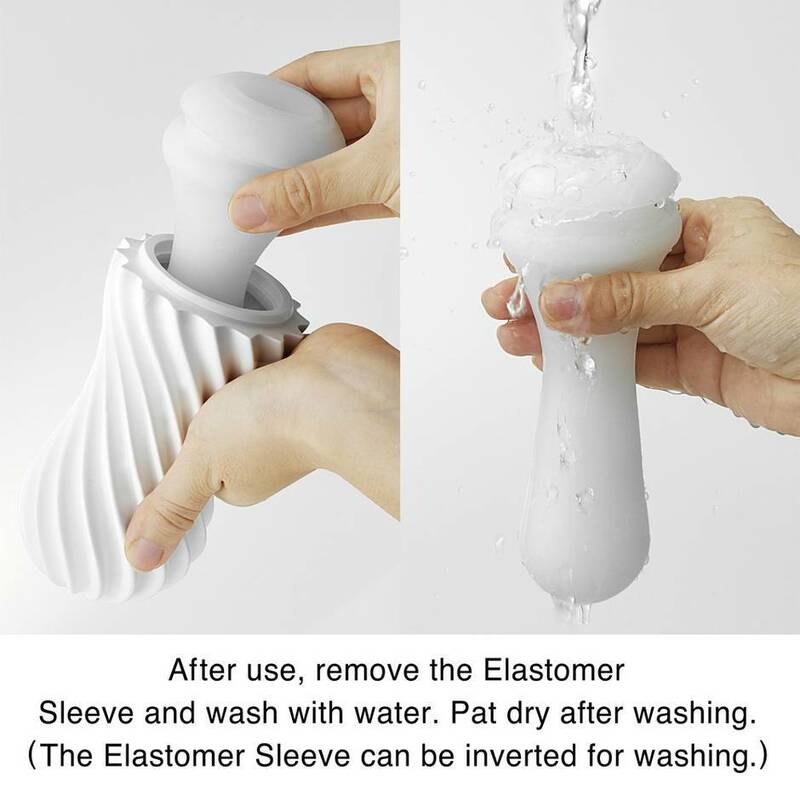 The removable rubber sleeve is easily detached to wash with water. Use a generous amount of water-based lube. The inner sleeve is not open-ended, which I prefer with these types of toys as it doesn't get as messy and there is never the danger of the old chap poking his head out right and the end and delivering his load everywhere but the inside of the toy - sealed end equals fire and forget! 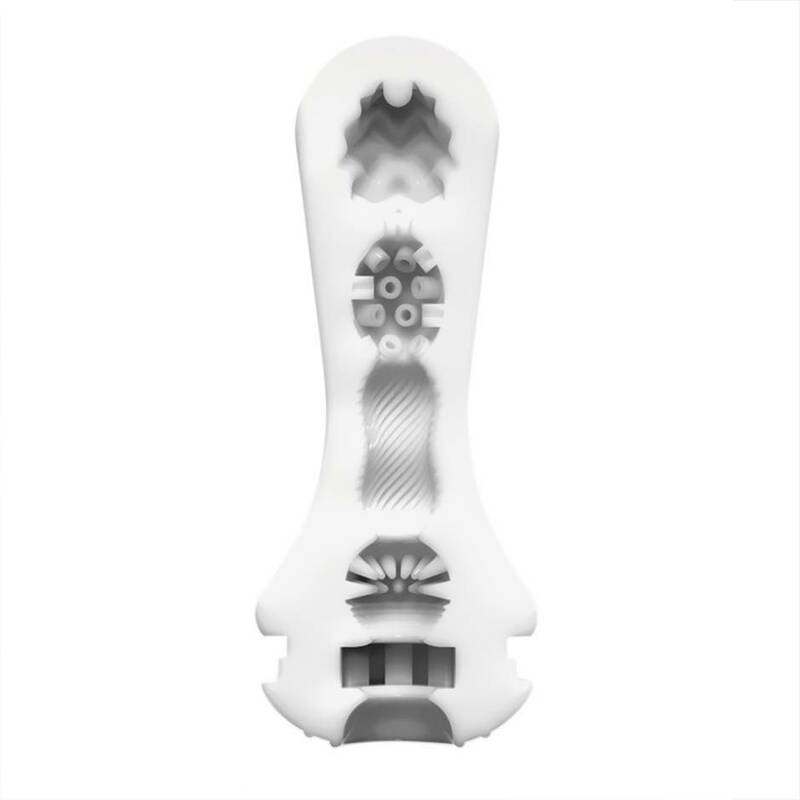 It also allows you to change the sensation during use by either squeezing the air out which results in a tighter, more intense stroke or by leaving the air in, which gives a "sloppier" sensation and is especially good for head play. The addition of the outer sleeve is where this toy really stands out from the rest, and as a result really changes up your options. It has a small air hole at the tip which if used correctly can really spice things up - leave it alone and you have your basic stroker, cover it up and you have an extra air chamber to experiment with. 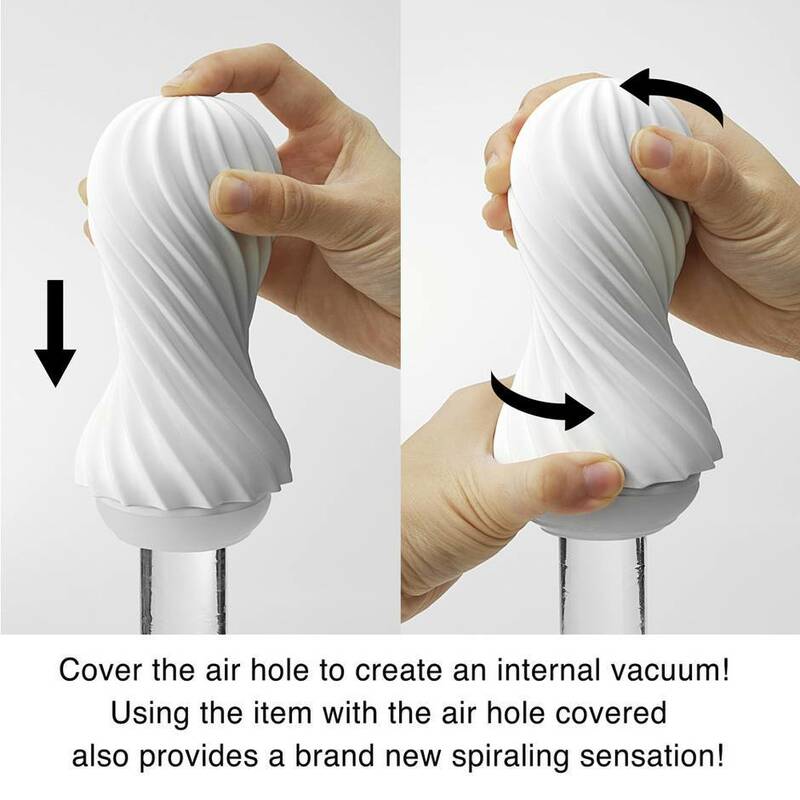 If you cover the hole on the downstroke it puts pressure on the inner sleeve to intensify the sensations. A quick release and recover for the upstroke creates a negative pressure, which really ramps things up with an incredible sensation that I can't really describe - you have to try it yourself. Orgasms with this are incredible, and you can vary the type you have depending on how you use the toy - an intense head-rush type or a slow build and release with fantastic continued pulses of pleasure type - all dependant on the combinations of pressures and suctions you can create due to the inner and outer sleeves. 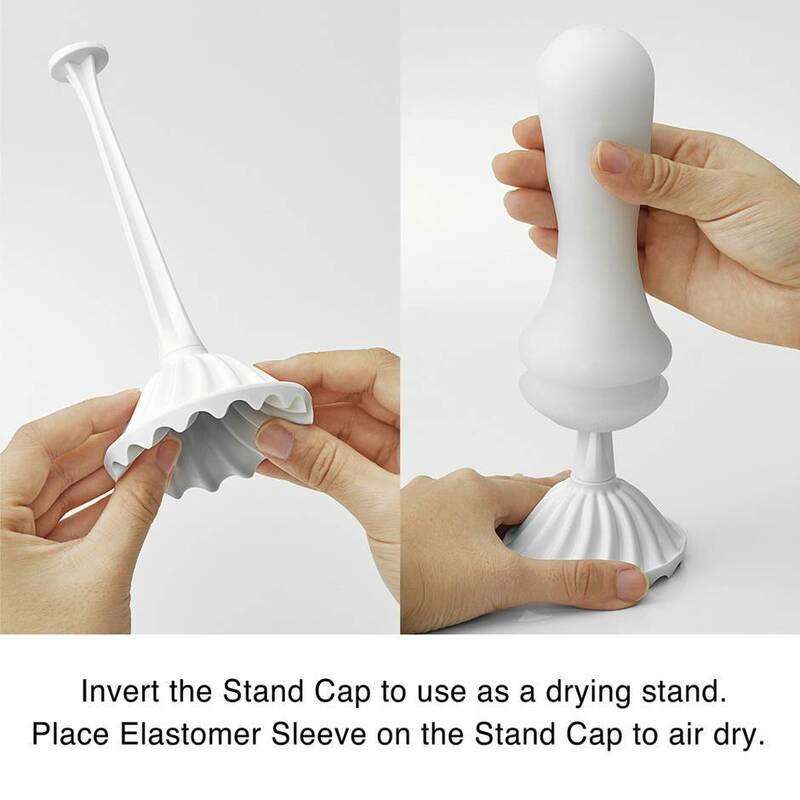 Cleaning is so simple. Just pop the inner sleeve out, wash it under the tap, give it a wee dry and you are ready yo go again. 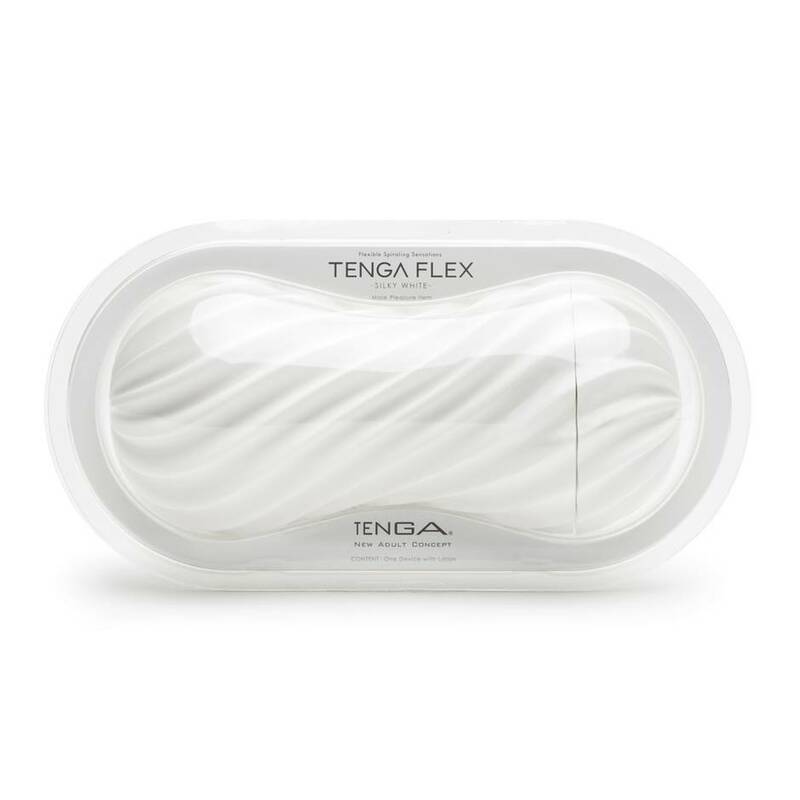 The material is also slightly different to the TENGA Spiral sleeves and is not porous at all, so it has held up much better over the months and still looks pristine - it's also handy for us lazy users who like to leave it to the morning for clean-up as it has no effect on the material! Putting it back together is a doddle. 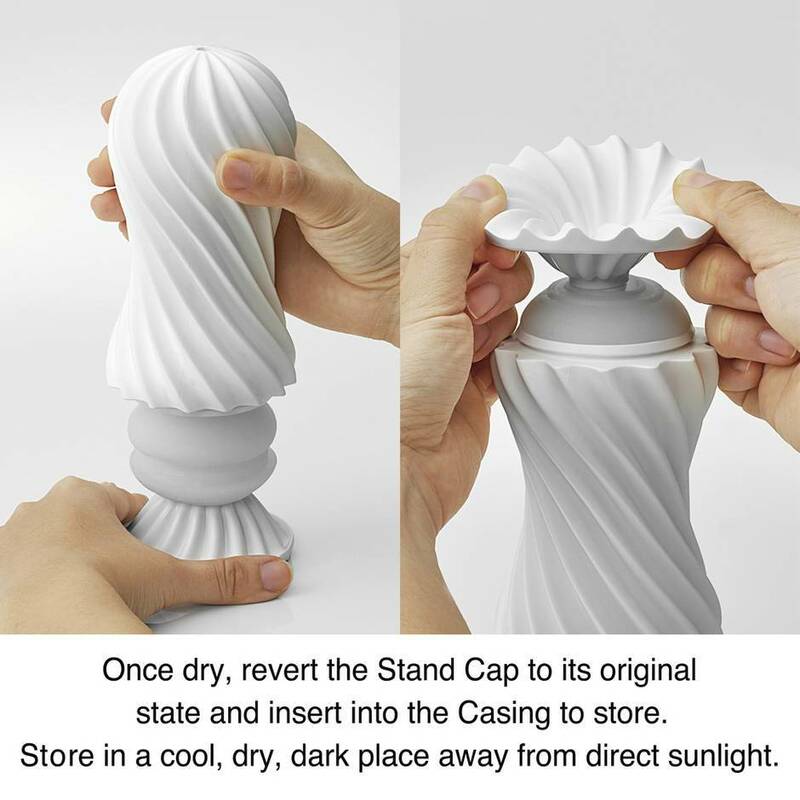 It slips into the outer sleeve easily, and if you find yourself struggling to make it fit, just push it in with the stand - problem solved! This really is a fantastic toy, and I have just ordered the Rocky Textured version to see how it compares. A must-have toy that once you get used to it can provide so many different sensations. Absolutely everything. A great toy. It maybe could have been a bit longer. If I could only have one toy - this would be it. I'm an average boi, with an average length, and a bit above average girth. I thought that maybe I would have some trouble girth wise since I did had troubles on that regard with a TENGA cup that I bought before, but surprisingly that wasn't the problem. The problem was that I wasn't able to fit the whole thing since apparently my average guy thing is too long. So if you're interested in getting this product think of it as a head massage thingy since the spinning feature feels pretty good! It feels good but it's kinda short. Having tried the entire Tenga 3D range, I've settled on the Zen and I'm on my third one now. I decided to give this a whirl by way of being a bit different. 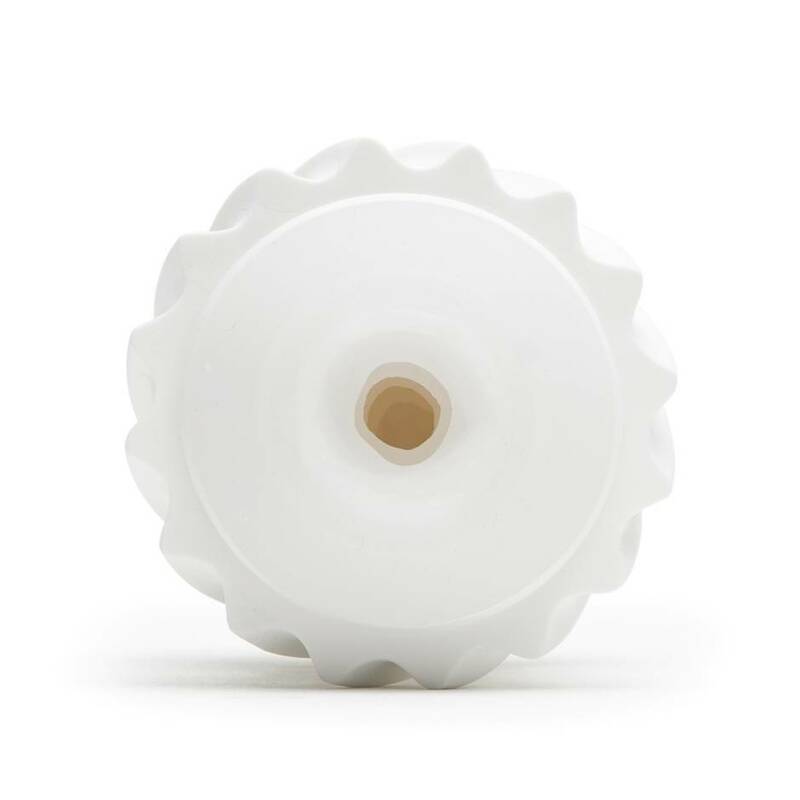 The outer casing is a flexible plastic cylinder which is narrower in the middle. The casing feels alien in the hand and is not pleasing at all to handle, the ridges being most uncomfortable. It doesn't fit neatly in the hand, and I'm an 8.5 glove size, so if your hands are smaller you will find this even less comfortable to hold. 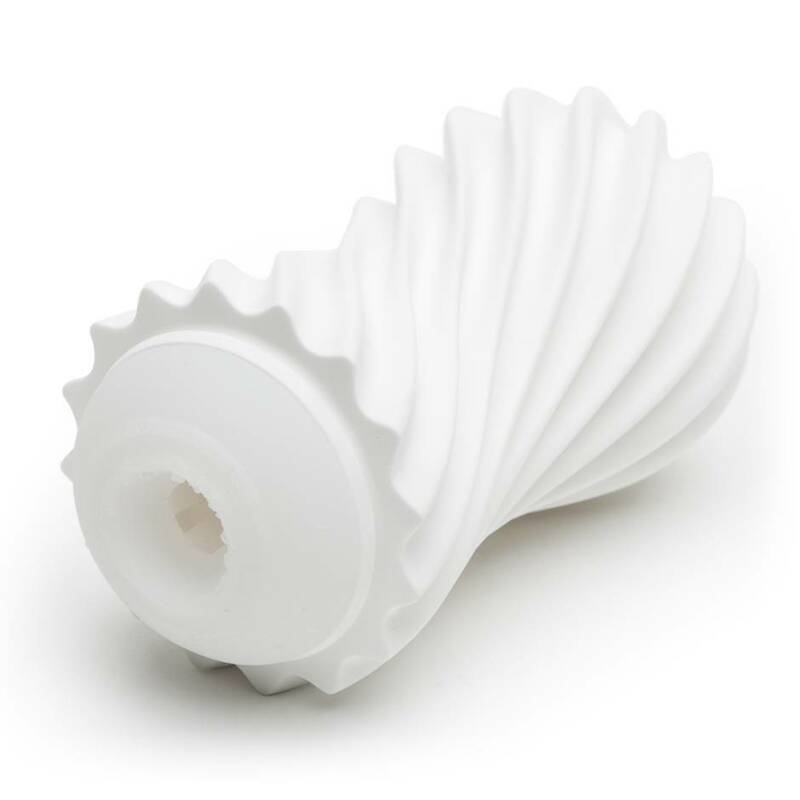 The inner material is a thicker version of the material you might get in a Tenga egg if you've ever tried one. The insert is soft and yielding with the various irregularities shown in the cross-section. My lube of choice is ID Glide, and it is usually fine with Tenga products. Initially, it was a pleasing experience, but for a girthy chap such as I, it was far too much of a squeeze at the opening, and it quickly lost its appeal. With considerable regret, I will be returning mine. For men with a more average girth, it might be wonderful, but it wasn't for me. I did experiment with removing the insert from the casing, but it was not much use. Wash-up was straightforward, and the air dry arrangement is quite clever. Getting the soft-sleeve insert back into the casing wasn't as easy as it could be, but moisten the insert slightly (I licked mine!) and it goes in with no trouble. Very compact and neat for easy stowage. Unpleasant to handle. Far too tight. 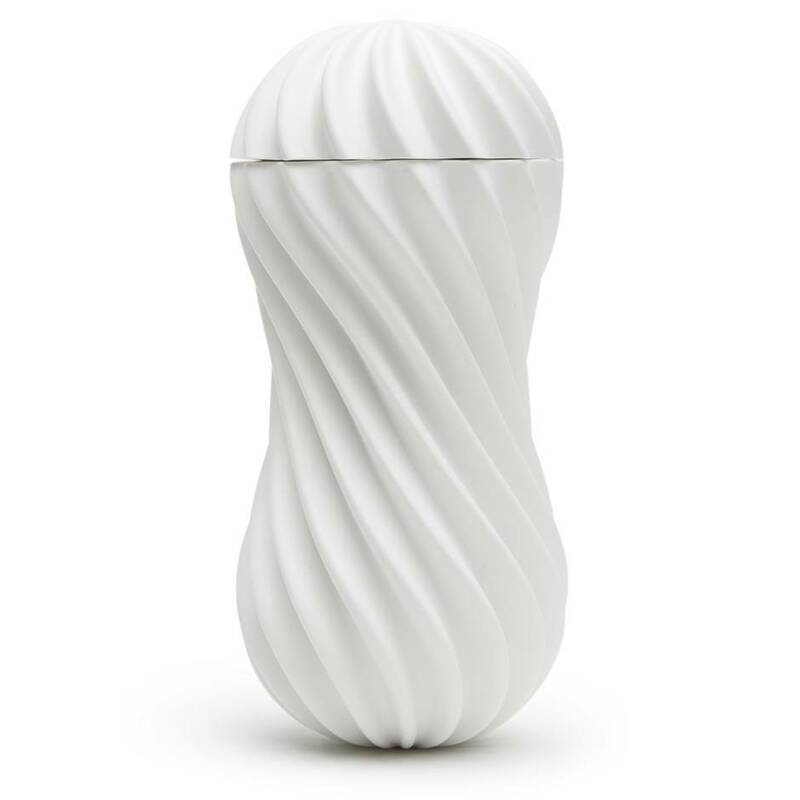 Nowhere near as good as my trusty Tenga 3D Zen.